This integration will allow the development of robots that, instead of being programmed in the classical way, will accept, via a friendly interface, instructions in terms of the concepts familiar to the user. 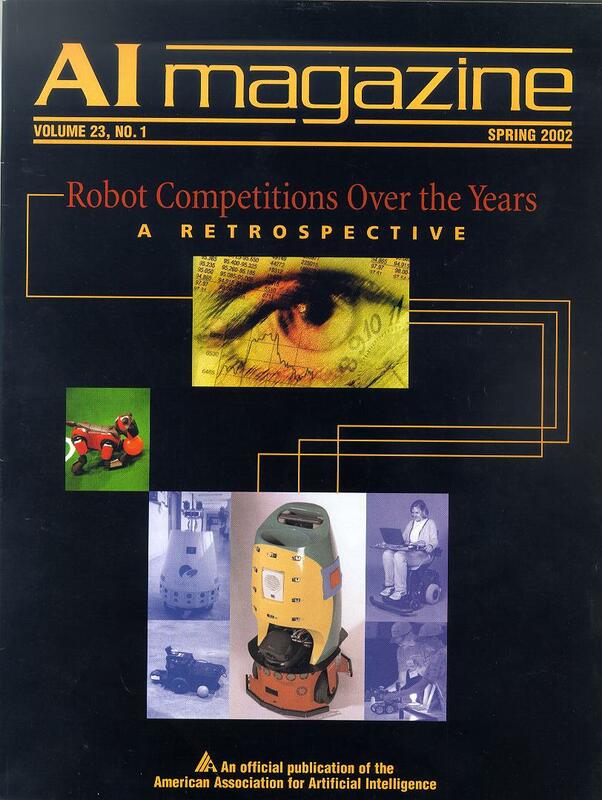 The proposed subject is of crucial importance if robots are to become consumer products. Unfortunately, until now it has been little studied, since usually research focuses on more specialized subjects and the integration is not attempted. Research within CARL is parsimonious in which concerns the study of each of the four identified dimensions of the problem, but thorough in which concerns their interrelations and integration. 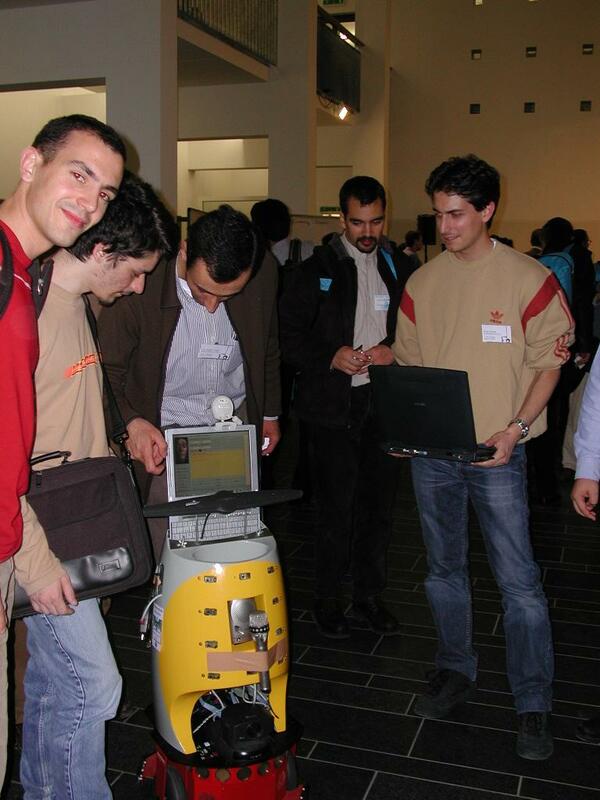 The Intelligent Robotics research group is envisioning two types of demonstrations of project results. 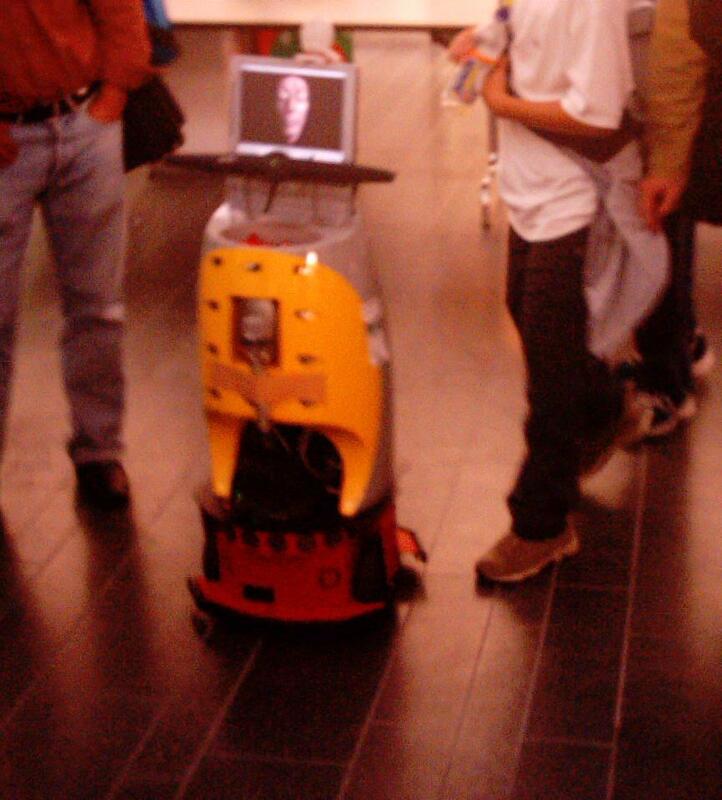 For the short term, we are working towards the concept of interactive robot tour guide. 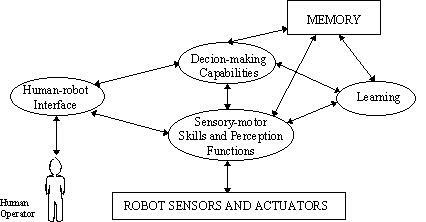 In particular, we are developing the interface and learning capabilities required for a robot to learn from local researchers knowledge about our institute and, based on that learned knowledge, be able to guide a visitor through the labs. The robot will be able to enter a conversation with the visitor focusing on what the visitor wants to know. For the longer term, we are envisioning a mobile manipulator, i.e., a robot that can be used as a testbed for investigating the concept of robotic servant. The robot will receive spoken language instructions from the user concerning the transportation of materials within an unstructured environment and plan and execute the transportation handling any unforeseen events that might arise. Of course, our robot is called Carl! It is based on a Pioneer 2-DX indoor platform from ActivMedia Robotics, with two drive wheels plus the caster. It includes wheel encoders, front and rear bumpers rings, front and rear sonar rings and audio I/O card. The platform configuration that was acquired also includes a micro-controller based on the Siemens C166 processor and an on-board computer based on a Pentium 266 MHz with PC104+ bus, 64 Mb of memory and a 3.2 Gb hard drive. The operating system is Linux. A Sony EVI pan-tilt camera was added. On top of this mobile platform, we added a fiber glass structure, that carries a Fujistsu-Siemens Lifebook laptop computer with touch screen, a VoiceTracker microphone array, a speaker and 10 infra-red sensors. 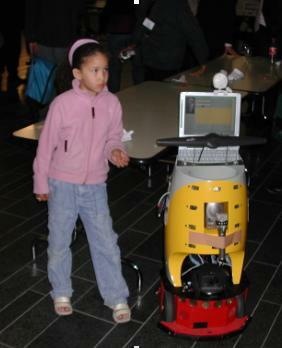 In a normal stand-up position near the robot, the mouth of a person is at a distance of 1 m from the microphone array. This is enough for enabling speech recognition in a quiet environment. The structure also includes a recipient for transporting small objects, equipped with an IR sensor for detecting the presence of objects. Currently Carl looks as the pictures below show. Carl can navigate through our institute, avoiding obstacles and executing simple commands received from humans through spoken language interaction. It can, actually, enter a dialogue (in English...) with the user and learn facts about the world from this dialogue. Besides execution management and speech processing, the laptop computer also runs a graphical interface, that can be used via the touch screen, an animated face, that enables Carl to display emotions and makes him a more friendly robot.